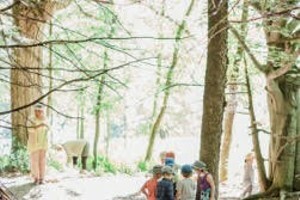 Backyard Bike Park | Habitat | Kids VT - small people, big ideas! Knight Ide is a pro at designing and building mountain-bike trails. 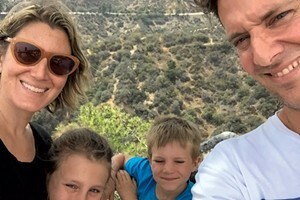 His clients include Q Burke Mountain Bike Park, the renowned Kingdom Trails — and his family. 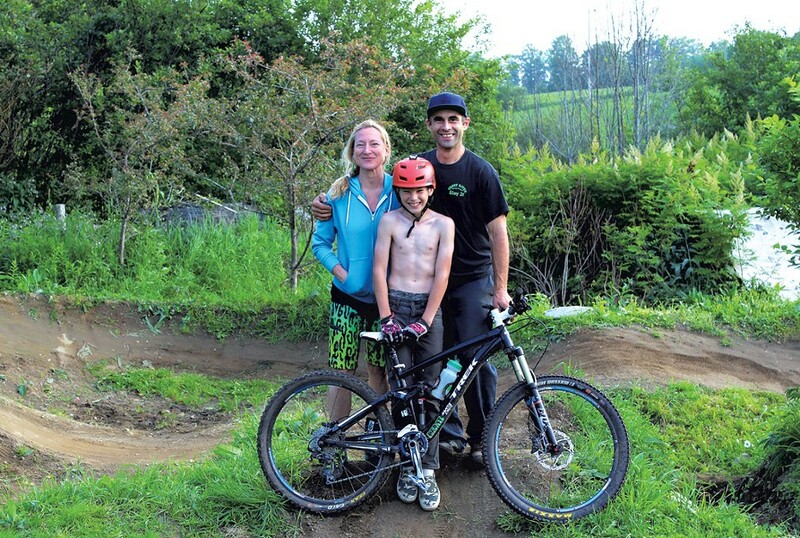 Over the years, Ide has built a pump track and dirt jumps behind the 1800s Newark farmhouse he shares with wife, Jen, and their 11-year-old son, Daymien. 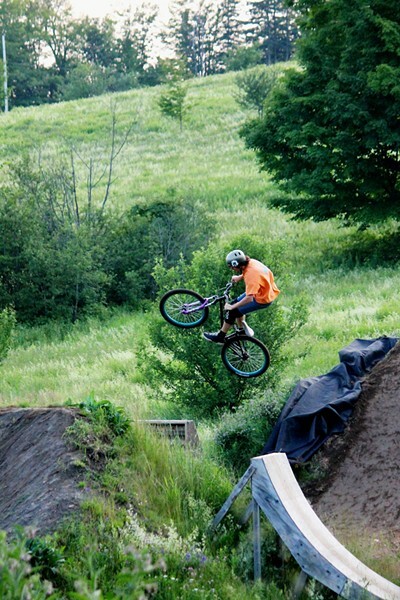 Ide's backyard bike park has been included in professional videos and is the site of an annual daylong bike jumping festival called the Jump Jam. All three Ides are adept at bike handling, arcing smoothly into turns and catching air, and they use their personal park to practice. But they also open it up to others one evening a week in the summer. On a recent Wednesday, more than 20 local kids, ages 7 to 21, navigated the track and used shovels to repair and maintain the jumps. Parents and grandparents sat in lawn chairs and at picnic tables, offering encouragement. People brought potluck dishes and stayed late into the evening. Knight's oldest son, Raven, grew up riding the bike jumps in his backyard and Knight has been hosting casual bike gatherings since the jumps were installed. Now the kids Knight taught back in the day mentor young riders at the weekly community nights. These gatherings have also given Daymien a chance to shine. "Even though he's younger than some of the kids, he's very skilled," says Jen, "so he can give pointers to everyone out there." 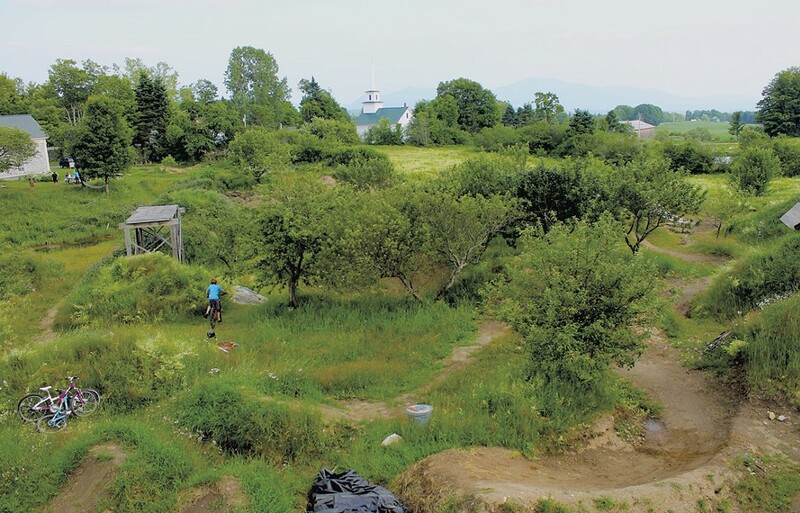 The 40-by-60 foot pump track is a small, looping trail system of dirt berms and smooth mounds of dirt called rollers. Ide built it five years ago, with the help of a friend and a small excavator he owns for his masonry business. It took them just two days. Dirt jumps, ranging from 10- to 20-feet high, feature multiple lines — or paths — for riders to follow. There's also a daring jump-off point made with tall scaffolding. Ide built the jumps over several months in 2001 with the help of friends and bigger machinery, including a full-size excavator and a skid steer.